Ever wanted to play against a champion that had a way out of almost any jam? 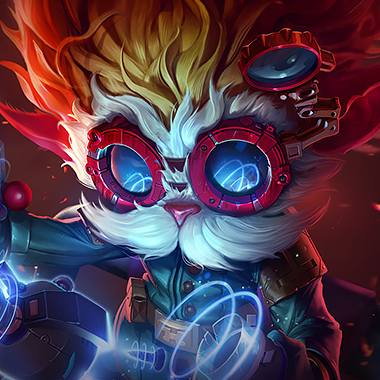 Well, you're in luck, because Heimerdinger exists! 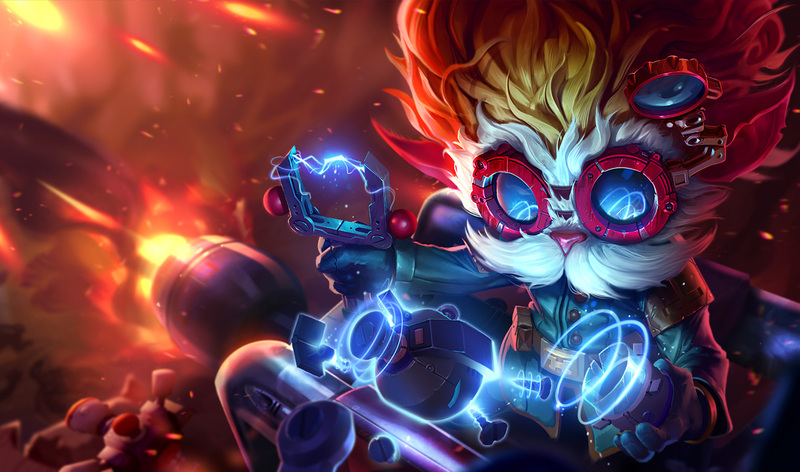 Heimerdinger is a safe and fast pushing champion who opts to lane by using his own turrets which can CS for him, or defend him, though at the expense of pushing the lane endlessly. 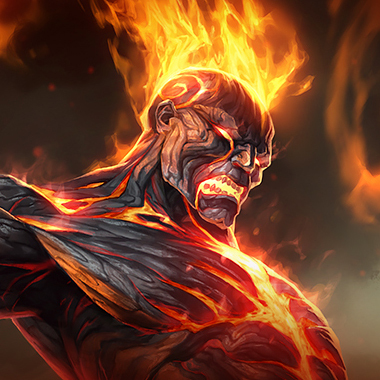 He comes equipped with hard CC attached to a skillshot and a barrage of missiles. All of his abilities become even more potent when his ultimate is active and make him a champion who's power should be respected post-6. 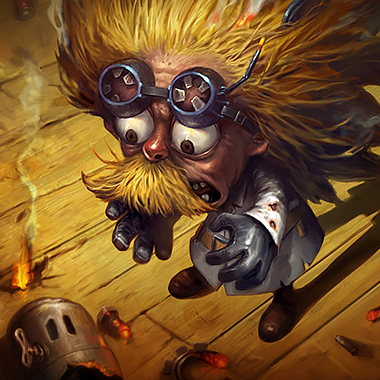 Heimerdinger gives nearby allied H-28G Turrets and Champions increased Health Regeneration. Places a Turret at target location. Turret attacks prioritize Heimerdinger's targets and enemies attacking Heimerdinger. Their Health increases with Heimerdinger's level and they shut down if he moves far away. Heimerdinger generates a Turret Kit periodically and can hold multiple turret kits at once. Unleashes a barrage of 5 rockets that converge towards the cursor and fan out past it, rockets deal magic damage and units hit by multiple rockets take reduced damage. Hurls a grenade that deals Magic Damage to enemy units and slows their Movement Speed by 35% for 2 seconds. Enemies in the center of the blast are also stunned for 1.25 seconds. Makes next basic ability free and gives it bonus effects. Reactivate to cancel. H-28Q Apex Turret: Places a Turret that deals Magic Damage with its cannon and Magic Damage with its beam for 8 seconds. It has splash damage, immunity to disables, its attacks slow targets by 25% for 2 seconds, it receives 20% of a beam charge per attack, and it doesn't count toward the Turret limit. Hextech Rocket Swarm: Fires 4 waves of rockets that deal Magic Damage . Champions and Monsters hit by multiple rockets take reduced damage. CH-3X Lightning Grenade: Throws a bouncing grenade that discharges three times, dealing Magic Damage. Both the stun and slow areas are larger and the slow is improved to 80%. 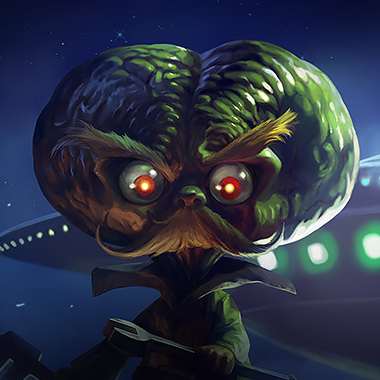 Heimerdinger must fight on his own turrets to be effective. This means you gain a lot more value out of destroying his turrets when your minion wave comes, than you do in trying to outright trade with him. Brand is a champion that doesn't mind Heimers turrets and forces him to space them according to Brands abilities. 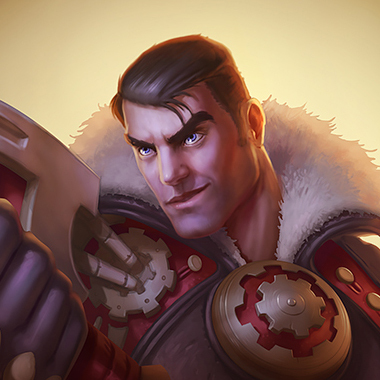 Brand comes stacked with AOE and will destroy turrets without trouble, making Heimers life hard and his ultimate bounces from turret to turret to Heimer, making killing him more than easy for the fire mage. Very Meta and Very AOE based. Jayce can break turrets and then jump on Heimer, even with the Shock Grenade, Heimer is stuck in a bad place, and without it, Jayce just kills him over and over. 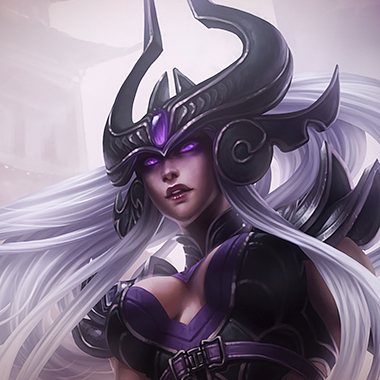 Syndra will just throw turrets at Heimer and if he's maxing turrets then he's almost completely worthless. Another champion with pretty strong AOE abilities, except she's also very anti-heimerdinger. This matchup is probably the hardest counter matchups in the entire game. She'll Q spam the turrets and make his life hard. 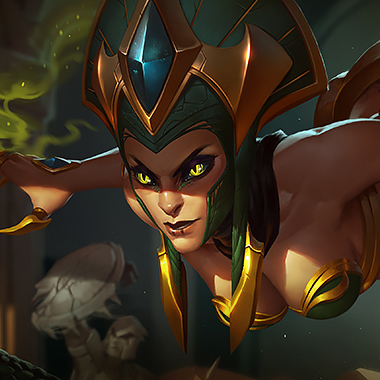 The moment that Heimer has to actually land skillshots he becomes a very bad champion, and with her easily killing his turrets, he's going to become a very bad champion, very fast. She also scales really hard, so she's going to reach the point where she matters more than he does. You'll want to stack MR and take some sort of grievous wounds. Obviously all of his abilities do Magic Damage, so stacking MR has ridiculous amounts of value, especially is a Banshees Veil can stop you from getting stunned or Merc Treads can reduce the length of it. Grievous wounds are used to counter his passive, and it's probably not necessary to stack it, but it's good to have just in case he decides to build some sort of health regen to give his passive more value later in the game.